"At the height of the First World War, on Easter Monday April 9, 1917, in early morning sleet, sixteen battalions of the Canadian Corps rose along a six-kilometre line of trenches in northern France against the occupying Germans. All four Canadian divisions advanced in a line behind a well-rehearsed creeping barrage of artillery fire. By nightfall, the Germans had suffered a major setback. The Ridge, which other Allied troops had assaulted previously and failed to take, was firmly in Canadian hands. The Canadian Corps had achieved perhaps the greatest lightning strike in Canadian military history. One Paris newspaper called it "Canada’s Easter gift to France." The achievement of the Canadians on those April days in 1917 has become one of our lasting myths. Based on first-hand accounts, including archival photographs and maps, it is the voices of the soldiers who experienced the battle that comprise the thrust of the book. 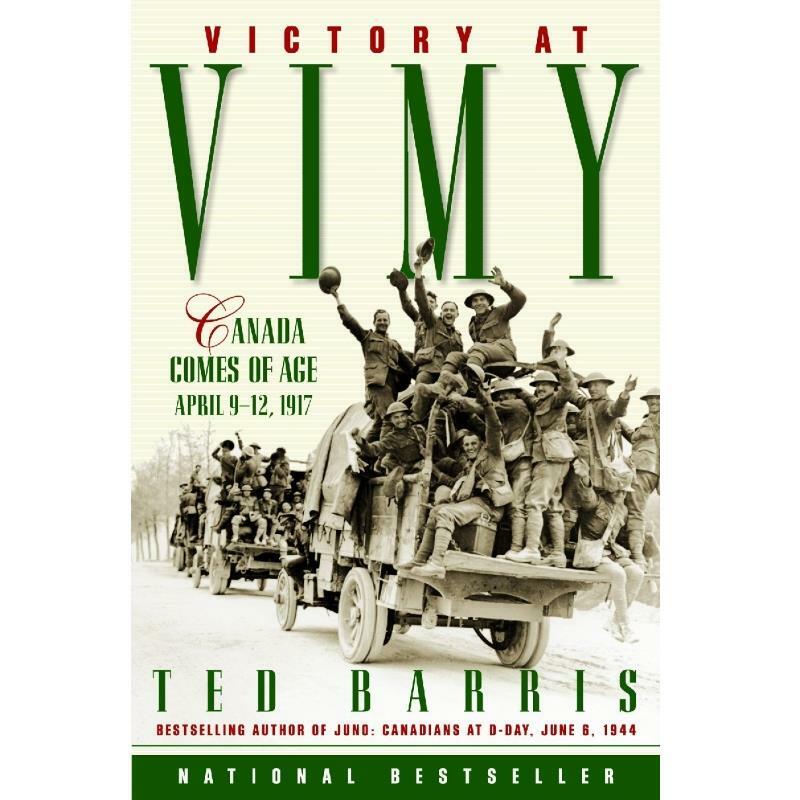 Like JUNO: Canadians at D-Day, Ted Barris paints a compelling and surprising human picture of what it was like to have stormed and taken Vimy Ridge."